Brat Maverick is a 16.1 hand 2002, grandson of Secretariat. He is sadly offered by his mom who wants to find him a very good home. “Maverick” is currently in training at Bits & Bytes Farm where he may be test ridden. He is also available for lease as long as he remains at Bits & Bytes Farm. 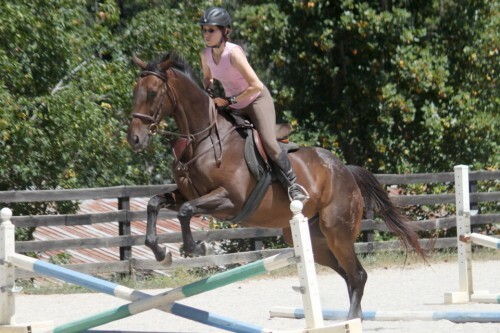 “Maverick” is a very solidly built gelding who could easily be mistaken for a warmblood. He is quick to learn and fun to ride. He has always been well loved and he will only be sold to a great home. He is learning to jump and he LOVES it! 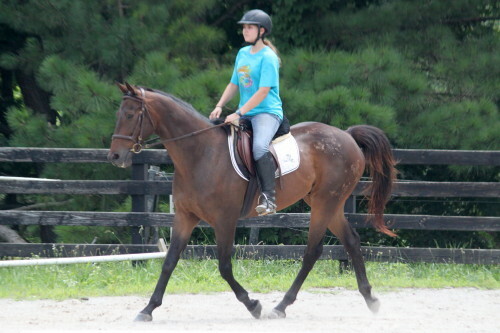 Maverick could be your next sport horse. See Brat Maverick’s Success Stories and photo albums. Call Elizabeth to schedule a test ride: 770-704-6595.